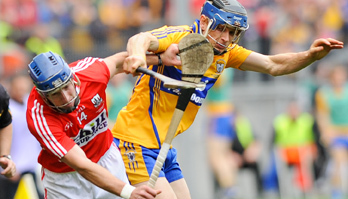 Patrick Horgan of Cork in action against David McInerney during the All-Ireland senior hurling final at Croke park. Photograph by John Kelly. MOST people watching the All-Ireland felt Clare were clearly the better team, but Cork’s top scorer got a little tetchy with journalists on the subject following the game. “We got three goals; ye’re criticising us all year for not getting goals, we get three and ye’re saying they’re better than us. 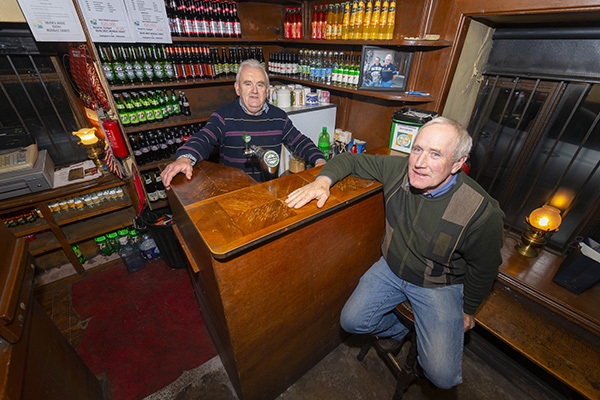 What are ye on about like?” Pa Horgan asked with a laugh. Horgan did acknowledge that things were not looking good during the second half, with Clare streaking away from the Rebels. Things might have looked bleak for Cork at one stage, but with two minutes of injury time gone, he felt they had at least one hand on Liam McCarthy. With Clare having deployed Pat Donnellan as a sweeper in the quarter and semi-finals, it was expected they would go with something similar again last Sunday. He felt the full-forward line had been starved for long spells but had finally got the service required.